graffiti: What's In a Name? When the French were settling in North America, one French adventurer staked a claim in what is now Detroit, Michigan dubbing it Ville d’etroit. His name was Le Sieur Antoine de la Mothe Cadillac. Some two hundred years later an engineer and gear grinder named Henry Martyn Leland bought into the failing Henry Ford Company (formerly Detroit Automobile Company) renaming it Cadillac, after the French settler. 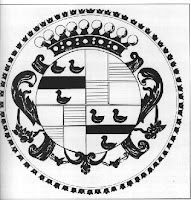 The Frenchman’s family crest was adopted as the symbol for the reorganized automaker. Leland was known for his aptitude for precision and his interchangeable gear systems that he perfected while making transmissions for the Olds Gasoline Engine Works. He brought that innovation and attention to detail to Cadillac earning the company the coveted Dewar Trophy award for the standardization of automobile parts. Continuing the innovative trend, Cadillac became the first production automobile with a push button start rather than a hand crank. This opened the way for more women to become regular drivers. Cadillac soon drew the attention of William Durant, the founder of General Motors and was purchased for $4.5 million. Leland eventually left the company to form the Lincoln Motor Company. Cadillac continued as a pioneer in the industry introducing the first V type water cooled 8 cylinder engine to be mass produced in 1915. By the 1920’s Cadillac was offering over 500 color combinations vs the competitions single shade of Black. Stylist Henry Earl was recruited to design the 1927 LaSalle convertible coupe. The result was elegant, flowing lines, chrome-plating and a comprehensive design philosophy that made the name Cadillac synonymous with beauty and luxury. At the end of WWII designer Harley Earl changed the profile of American cars with the introduction of the tail fin thereby making it an integral part of American auto styling for the next 20 years. 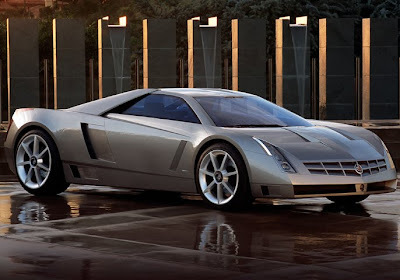 Over the years that followed the designers and engineers at Cadillac introduced the V-12 and V-10 engines, the sunroof, standard power steering, thermostatic air conditioning, electric seat warmers, air bags, electronic fuel injection… the list goes on and on. When I was a kid the name Cadillac was kicked around to mean the best of its kind. Eg: The Cadillac of (fill in the blank). Today Cadillac continues to be the mark of precision engineering, excellence and luxurious style. With that kind of history and track record, you can’t help but wonder what they will come up with next.